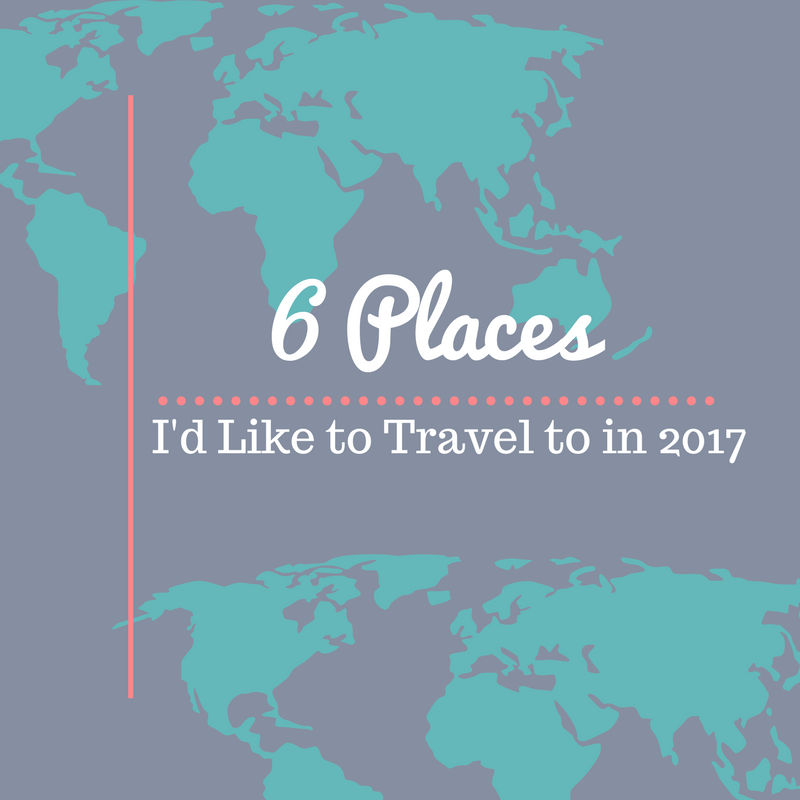 Two years ago, I wrote a post highlighting 10 places I would have liked to travel that year. I only made it to three of those places, but I went to some incredible places that weren't on that list. Last year, I wrote a post highlighting 5 places. I only made it to 2 places on that list, but again, I went to some pretty great places that weren't on that list, like Australia, Vancouver, San Francisco, and Park City. It may surprise you to know that I don't plan travel. Unless there's a race tied to it or a special occasion, the vast majority of my travel plans over the last several years have been made on very short notice...like the time we went to Hawaii on 4 hours notice. Even our trip to Australia was planned on less than a week's notice! It's nearly impossible for us to plan a vacation anywhere. The Pilot usually gets his schedule for the month around the middle of the previous month, sometimes later. Even with a schedule in hand, it's impossible to predict what flying standby will look like. We always have to be flexible and willing to reroute our plans. When I went to Lisbon two years ago, and didn't make it on a direct flight, I ended up hopping on a plane to London, crashing with some friends there and spending 24 hours in the city. When we went to Las Vegas a few years ago, it was only because we didn't make it on a flight to Switzerland! When it comes to my life at home, I'm as Type A as they come. I'm a writer! My life is driven by deadlines and I thrive off of it but I appreciate the idea of throwing caution to the wind and literally seeing where life will take us! That being said, when I write these lists year after year, I never expect to travel to all of these places but I do expect that some wild adventure will turn up and I'll end up going somewhere that wasn't even a thought in my mind and that I'll at least make it to a few of the places on this list! 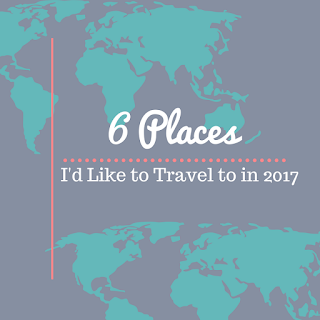 If we weren't throwing caution to the wind and I had my pick, here are a few places I would really love to travel to this year. 1. Copenhagen - I've had my eye on Copenhagen for awhile now but it wasn't until Carolann traveled to Denmark that I really started itching to go. 2. Geneva - I have always said that Geneva was my first European love. London was the first city I traveled to in Europe and it was everything I thought it would be and more but Geneva was the first city I ever traveled to by myself. I had no idea what to expect and fell in love with it. I made incredible friends who I'm still friends with to this day. 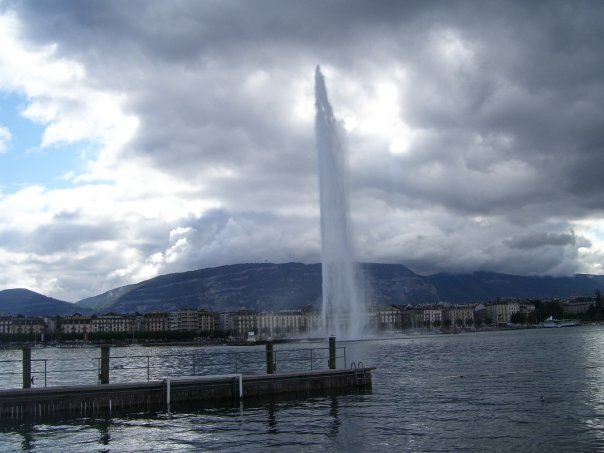 It's been 10 years since my first trip to Geneva and 8 since my last and that needs to change this year. 3. London - Well, since we're talking about Europe, I have to talk about London. The Pilot and I tried so hard to make it there this summer but we just couldn't swing it. My 24-hour sojourn in 2015 was a vicious tease and I'm dying to go back to the city I used to call home. 4. 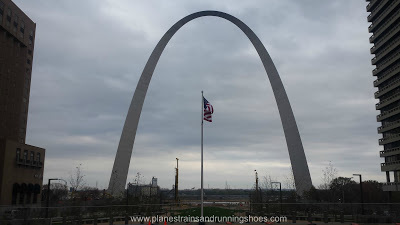 St. Louis - I fell in love with St. Louis when I visited in 2015. I have to admit that I've always (somewhat ignorantly) said that I could never live in the Midwest because I could never live in a landlocked state but I loved St. Louis! I would love to make it there this spring to visit Sara and catch a Cardinals game. 5. Thailand - I live my life by the "I haven't been everywhere but it's on my list" philosophy and while there's still a lot of the world I haven't seen, Thailand is one of the few places that I feel a desperate need to go to. Thailand gives me serious travel envy. 6. East Africa - I loved Ghana and Togo when I traveled to West Africa in 2009 but East Africa, specifically Rwanda, Uganda, and Tanzania, have been on my list for a very long time. I tried to convince The Pilot to go there this year for our anniversary but Australia won out. Right now, I have a few travel plans for the year. The Pilot and I are heading to Palm Springs, CA pretty soon and next month, we're going to Disney World! Beyond that, who knows where life will take us? I do know one thing: I have a New Year's Resolution to have crossed 30 countries off of my list and I'm at 26. I'm also planning to finally cross the baseball stadiums off my list after 8 years of trying! With only a handful of stadiums left, I know that I'll be watching a lot of baseball this year! Where is on your travel list this year? Have you been to any of the places on mine? Do you think you could fly standby, never knowing for sure where or when you were going?